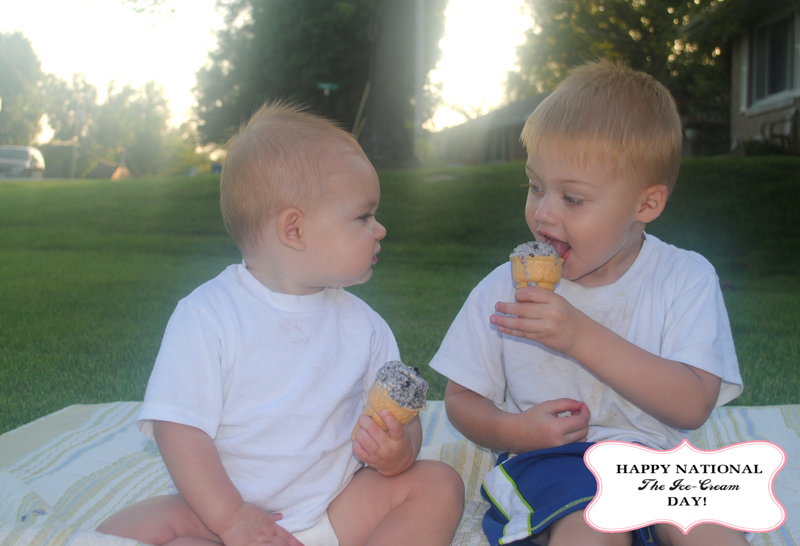 Today is National Ice-Cream Day! I know, aren't you so excited! So my origional plan was to take the kids to Central Dairy ... well, that just didn't happen today. Plus, my patience level was not so stellar ... so I just decided we would have a picnic outside with the ice cream I made the other day (cookies n'cream). Ummm, if you live anywhere near Missouri, you know it was rediculous today. You couldn't be outside with sweating your behind off ... no joke. After numerous fails to get everyone out the door, I just decided to do it in our front yard. You can tell by my camera lens just how muggy it was outside ... I had to take the rest of my pictures with my iphone. 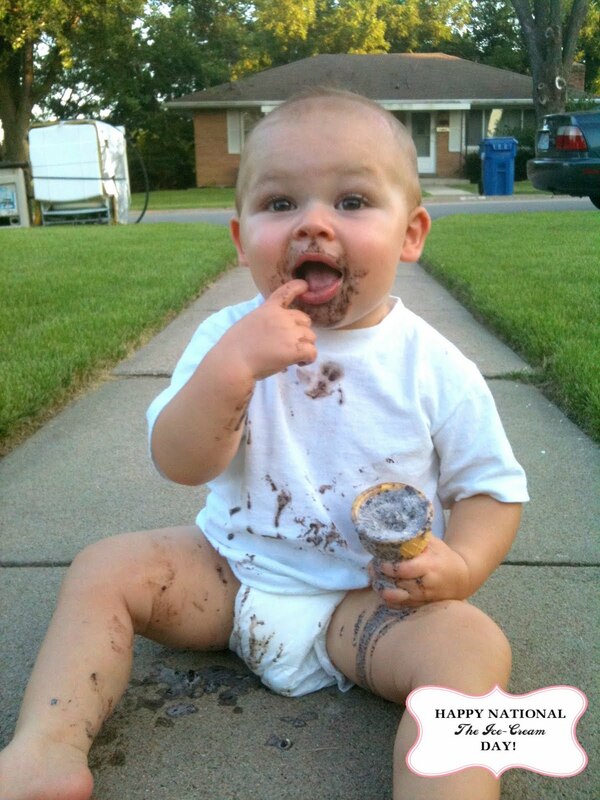 Oh well ... atleast the ice-cream was yummy! Do you think Bayler likes Ice Cream? I'm not really sure? Baaaaahahaha! That picture of Baylor is too funny! I could just eat up your little boys!